When we think about the enduring value of a fictional character, two of the most important aspects attached to them are impact and influence. How do they reach us? Why are we drawn to them specifically? Why do we allow them to factor into our daily lives? There’s no shortage of books, television shows, and movies in the world and there’s certainly no shortage of comic books and comic book characters, so there has to be something particularly special surrounding that character for them to rise above all the others. I think what truly elevates a fictional character isn’t just what they do for the fans, but what fans do because of them. Inspiration is a powerful force and one of the most inspirational and enduring figures of fiction has been the Dark Knight himself, Batman. 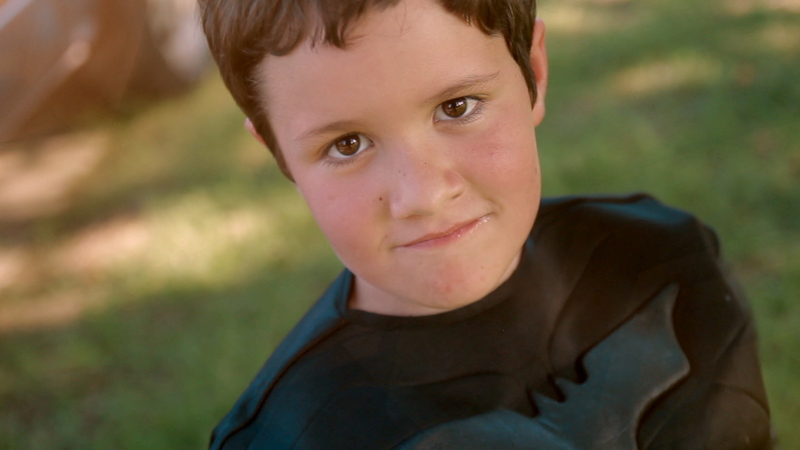 In Legends of the Knight, director and producer Brett Culp captures the stories of just a handful of the people who’ve changed their lives and the lives of others because of their love for the Caped Crusader and what he inspires in them. The first thing that comes to mind when describing Batman and differentiating him from many of his peers in the DC Comics Universe is that he’s human. He isn’t an alien from another planet or an Amazon blessed with powers from the Greek gods, he’s just a man who witnessed the murder of his parents as a child and devoted the rest of his life to eradicating crime in the streets of Gotham City. Yes, he may have billions of dollars to support his nightly patrols and the myriad gadgets at his disposal, but many Batman fans see past the cool toys and the massive fortune. Instead, we look at the man who suffered a tremendous loss that psychologically scarred him yet still managed to channel that pain and damage into a positive force for good. 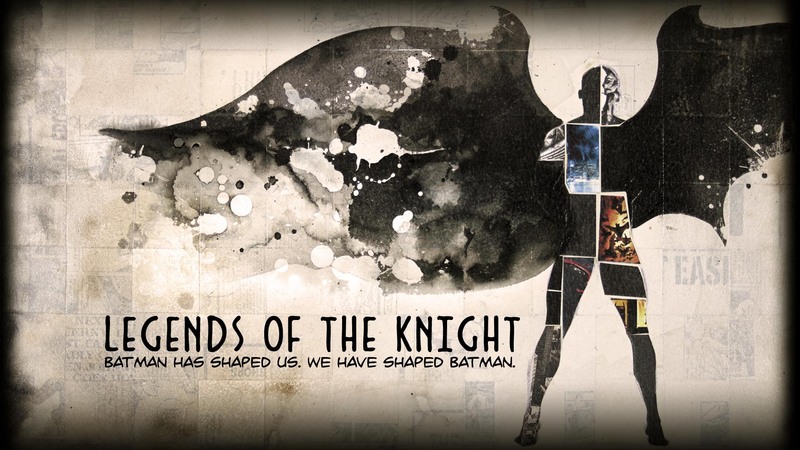 Legends of the Knight is a documentary that keeps its focus squarely on the positive influence and inspirational stories of devoted Bat-fans. For many of those interviewed, the story is often the same: overcoming obstacles, fighting back, and turning pain into something positive. If Batman can do it, then so can I. Several stories feature people with physical disabilities or illnesses, but none of them see their state of being as something to be pitied. All of them – Kye Sapp, Jill Pantozzi, and Daniel Scott – draw on Batman as a source of strength. Batman fights back and so will I. If I fall, I get back up because that’s what Batman would do. There are no physical limits to what I can accomplish because Batman pushes beyond his own limitations. Then there are the fans who take on the uniform of Batman as a means of inspiring others. Lenny Robinson dresses in full costume and visits sick children, asking them to get better for Batman. The Pentaluma Batman, a then 19-year-old college student at the time of filming, rallies people together to find missing persons or raise money for local charities while devoting a few hours each night “patrolling” in his hometown. His uniform isn’t as elaborate, but it’s less about the accuracy of the cape and cowl and more about what they represent not just to the person wearing the outfit, but the people around them. The influence of Batman equally extends into the academic and the psychological. 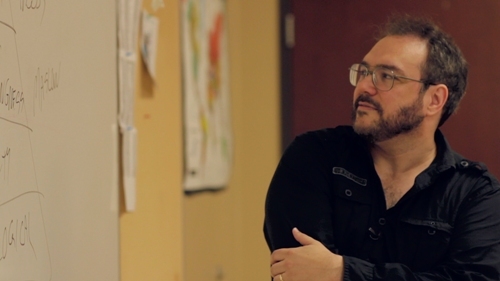 Scholars like Dr. Travis Langley use Batman and his rogues gallery as a means of uncovering psychological disorders and philosophical discussions that would be a harder sell to teens and young adults without the help of well known villains, and the Dark Knight himself, to put them in perspective. Patrick O’Connor uses Batman comics as a means of therapy, giving his younger clients something tangible with which they can express themselves. Batman’s universe opens up more avenues of discussion because his world has become so much a part of our cultural understanding. We can open a Batman comic or watch Batman on the big and small screen and relate to his struggles, prompting our own inner examinations. Then there are those who have had a hand in shaping Batman’s image to audiences and readers. 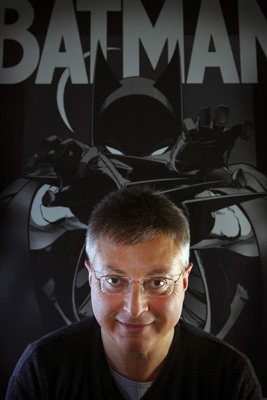 Michael Uslan and former Batman writer Denny O’Neil see themselves as the caretakers of the Batman mythos. Uslan devoted most of his life to seeing the Dark Knight brought to the big screen, obtaining the film rights to Batman and serving as Executive Producer of every Batman movie since 1989 all because he believed audiences would connect with a darker, more serious superhero. O’Neil, through the trials and errors of reimagining and reinvigorating Batman, quickly realized that superheroes in general are our modern folklore. We connect and identify with heroes like Batman because we see something of ourselves in them, or something to strive for. Therefore, changing them within the context of film, television, or comic books challenges how we look at ourselves. It is interesting though that both Uslan and O’Neil were responsible for pulling Batman away from his Silver Age persona in the comics and his campy counterpart in the 1966 television program. Uslan, more than anyone in the documentary, felt betrayed by Adam West’s portrayal of his dark superhero and yet there are still devoted fans to West’s Batman, which speaks to the fluid nature of the character and the inclusiveness of the fanbase. However you became a fan of Batman, you’re still a fan of Batman regardless of the iteration. What matters is how you utilize that devotion and all of these stories show how positivity is more powerful and impactful. In this current era of heightened fandom, Legends of the Knight is a refreshing point of view in contrast to the bombardment of nerd rage lurking in every corner of the internet. Thankfully, Brett Culp and the men and women featured in this documentary present an inspiring counterpoint. Screenings for Legends of the Knight have already begun, so if you’re interested in finding a theater near you to watch the film you can go to their website and buy tickets or host a screening if one isn’t close by. You can also purchase the film via the website where proceeds will go to The Rising Heroes Project. Sam is a self-described "sponge for information" soaking up little tidbits here and there that make her the perfect partner on pub trivia night! Hailing from the beautiful Pacific Northwest, she indulges her nerdy and geeky qualities by hanging out at the local comic book shop, reading anything she can find, and voicing her opinion whether you welcome it or not. An archivist and historian, she will research any and all things and will throw down if you want to quote Monty Python, Mel Brooks, or The Simpsons!